Thank you for all of your help, you two are by far the best in your profession. The courts may not review every case that passes through their jurisdiction, but this firm has provided me with the best legal assistance I’ve received since I’ve been incarcerated. I am already aware of my federal habeas petition, I don’t have any questions, I just wanted to show my appreciation, I always refer potential clients to your firm. 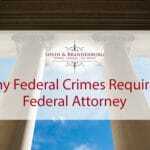 Ms. Shein represented my husband in a federal case. She is extremely knowledgeable about the federal process, has excellent communication skills, was very responsive and always follows up with any query or request. I would recommend her to anyone that requires legal advise or representation. I can’t even begin to find the words to express my gratitude for all you’ve done for our family this past 14 months. I shudder to think where we may have ended up if he had not had you as his advocate, attorney and friend. We are all eternally thankful and feel that you will always be “family” to us. Thank you from the bottom of my heart! Not only is Marcia one of the most intelligent lawyers I have met, but she is filled with compassion. I have the utmost respect for her, for she tells it like it is. I always knew where I stood, and what my options were. 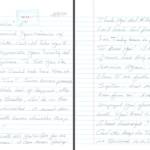 I reside in Massachusetts and could not find anyone locally that knows more about post conviction as Marcia does. She is definitely a rarity. She will fight for everything you have coming and then some! To this day Marcia continues to answer all my emails and phone calls. I have never not received a response from Marcia herself. I have, and will continue to highly recommend Marcia to anyone in need of a top-notch attorney whether it be pre-trial, sentencing, appeals, or post conviction. I would like to thank you and your colleagues for all that you did and tried to do for me. Your efforts were greatly appreciated thank you so much, Ms. Brandenburg from the bottom of the my heart. Chances are that if you’re reading this, you or someone you know are in trouble with the United States Government in one way or another. Maybe, like me, this is your first time in trouble with the government. 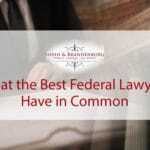 Whatever your particular case may be, I can assure you that the federal law(s) are a complex, sometimes changing and often (very) confusing to the average person. Because of this entangling web of laws, we certainly need an experienced attorney who not only knows and understands the laws, but also knows our rights and will fight for them and our freedom. Enter: Marcia Shein. I won’t go into detail about Ms. Shein’s impressive credentials. Rather I want to tell you how, as my attorney, she is committed to me on a personal level. 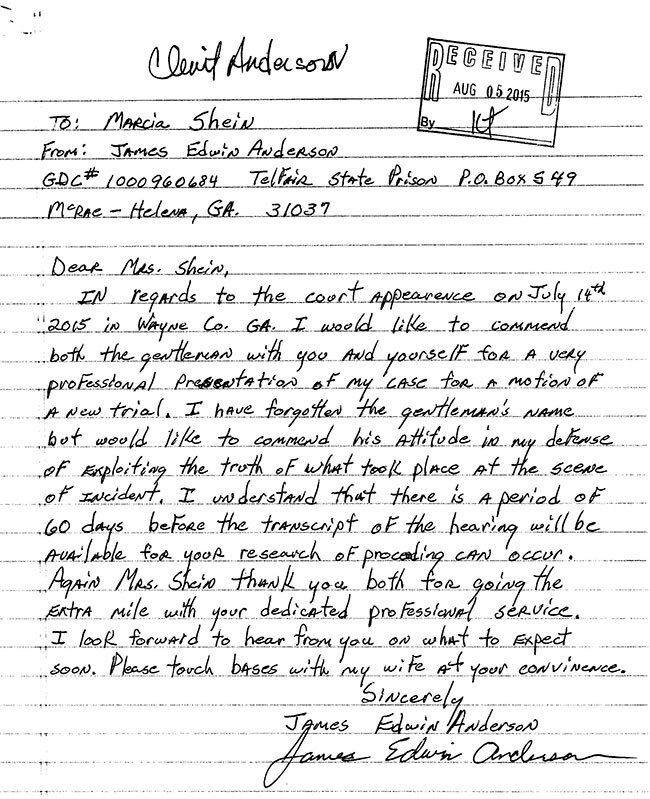 Unlike many attorneys, Ms. Shein actually CARES about her clients and what happens to them. To her, we are not simply “another inmate in prison”, rather we’re people too and we still have rights. Attorney Shein understands the complexity of the laws to such an extreme degree, that I trust her FULLY as my attorney and to always have my best interests at hand. Ms. Shein and her experienced staff have impressed me so much, that their aggressive, fighting ways inspired me to write this letter of recommendation. 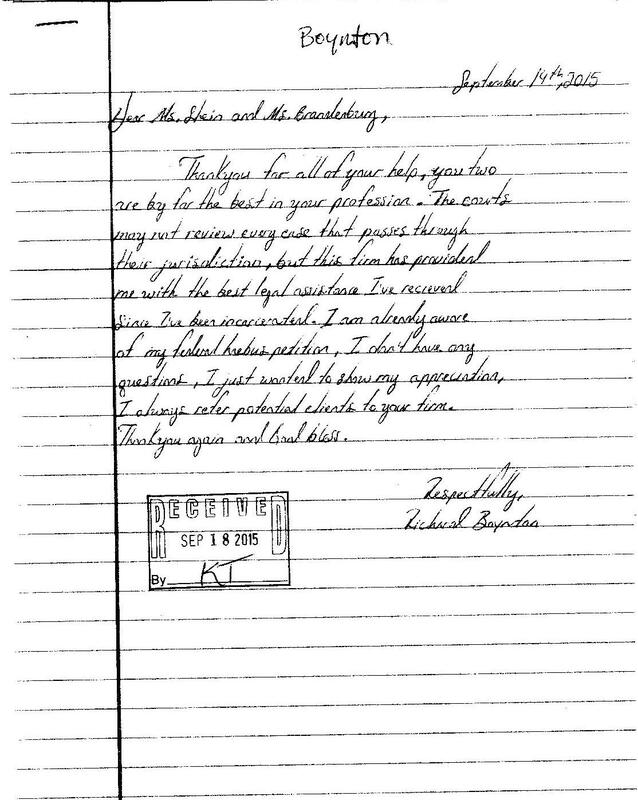 (I can assure you that I was NOT paid to write this NOR was I even asked to do so) Honestly, when was the last time you read anything good from a client about his or her attorney? So, no matter what crime you may be charged with (committed/convicted thereof) I HIGHLY RECOMMEND Marcia Shein and her knowledgeable staff to handle your case. I am confident that she will fight just as hard for you, as she did for me. The only regret I have is not hiring them sooner. I urge you not to leave your case to chance. You can guarantee that the FBI, DEA, ATF and others will be working HARD to prosecute you – so in return, you need someone who will work just as hard (and harder) to protect you and your rights. In any case, (and possibly yours) those people were Attorney Marcia Shein and her firm. Thank you for fighting this battle for me and your staff in the office, very professional. I am not a lawyer, so good help is helpful. In the two cases prior to the one documented above, I represented myself at Both Jury Trials. 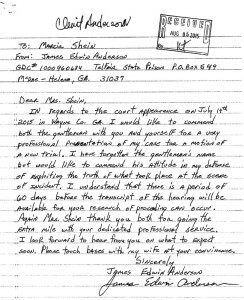 A concerned loved one hired Marcia Shein, after the second trial – who found that the trial proceedings legally mis-trialed due to interruptions and mis proceedings that entitled me to a New Trial. Marcia Shein was very helpful. Best in Georgia? Or Best in the South? Shes good.